Goodreads Summary: Beware the goblin men and the wares they sell. This book sounds like a combination of Phantom of the Opera and the mythology stories of Orpheus and Eurydice and Persephone and Demeter. 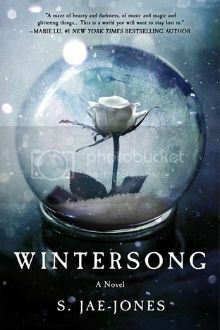 I love all of those stories, so I can only imagine that I would look a book that combines the best aspects of them all! "He had told her--Madrigal-her--in the last moments before her execution, that for all these centuries he had only been holding back a tide, trying to keep his people alive until some other way could be found, some truer way. A path to life, and peace. Life and peace. Victory and vengeance. And never the twain shall meet." 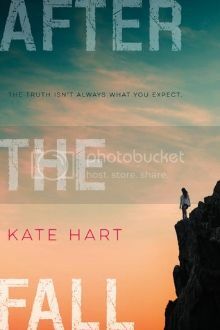 Goodreads Summary: A YA debut about a teen girl who wrestles with rumors, reputation, and her relationships with two brothers. First Thought After Finishing: I need one more scene, an epilogue, something! This book is messy, painful, ever shifting, never quite the way you want it to be…life. It’s trying to stay optimistic through challenges but wanting to stay numb because it’s easier. It’s making questionable choices in the name of coping. It’s unsettling, and I still don’t know how I feel about it. 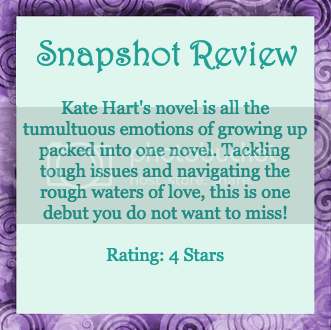 A senior in high school, Raychel is facing an uncertain future. Her single mother is barely making ends meet, meaning her college options are limited. Many of her friends are off at college, meaning she has to reform her life without them. But at least she has Matt, the boy who has been her best friend for forever, and Matt’s family, who offer the home she’s always wanted. Raychel could have had a good year hiking, partying, and being with Matt and his family. But sexual assault, money problems, and an attraction she never planned on turn her year upside down. And when everything changes, what does she do then? The one thing that bothered me about this book was how quickly the POVs changed. 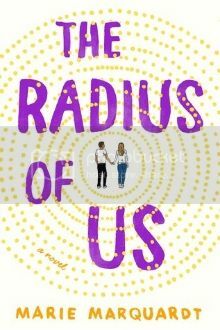 I liked having both Raychel and Matt’s perspectives, but I felt like the book constantly bounced back and forth, and occasionally I had a hard time keeping track of which person’s perspective I was reading. However, after thinking about it, I realized that there might be a point to it—when you’re growing up and trying to figure everything out, things can change so quickly. And there are always two sides to every story, sometimes even between best friends. Most Memorable Aspect: This book has one of those scenes that you read, reread, stare at the page for a while like the words will suddenly change, and then keep reading like the next chapter or the next will change things, even though it’s after 2am and you need sleep. Not many books can have that kind of effect. Goodreads Summary: Everyone who really knows Brooklyn knows Devonairre Street girls are different. They’re the ones you shouldn’t fall in love with. The ones with the curse. The ones who can get you killed. I love magical realism books, and this one sounds like an engrossing story that is also timely and relevant to society today. I'm curious to see how the author spins this tale! "Once, the lovers lay entwined in the moon's secret temple and dreamed of a world that was like a jewel box without a jewel--a paradise waiting for them to find it and fill it with their happiness. This was not that world." One of the things that worried me about returning to blogging was the seeming predominance of Bookstagram. I have never been a huge fan of photography. I usually try and avoid pictures, whether I am supposed to be taking them or posing for them. With Bookstagram becoming more and more popular, I didn't know if I would be able to keep up on all fronts. Even if I made an account, what would be the chances of me actually taking pictures? Well, as part of my New Year's recommitment to blogging, I took the plunge and joined Bookstagram. Since joining, I've found challenges to join and have taken pictures daily. But the most surprising part? Im actually enjoying taking pictures. I've started looking at my books in a new way, and I find myself trying to arrange artful photos in my head even before gathering books for them. I am nowhere near as good as others; I do not have the skill set, I do not have all (or any, really) of the trinkets that make for beautiful pictures. I am slowly adding to my collection, but I know it will take a long time to feel anywhere close to accomplished. So what does this mean, and why am I sharing it with you all? I cannot help but wonder what the popularity of Bookstagram means for blogging. Even as new as I am, I have caught myself only looking at stunning pictures, sometimes at the expense of the captions. Can Bookstagram really be an effective platform for reviewing books? Or is Bookstagram more effective because it can bring attention to old and new books, highlight themes or quotes at a simple glance, and make people want the book if for no other reason than it has a gorgeous cover or would be the perfect complement to a picture? 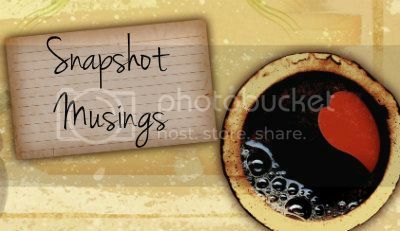 Are momentary snapshots going to completely edge out blogs that have been cultivated for years? For now, I want to continue with both arenas, because I feel like there is still a space for book reviews, for words without pictures. Part of me is not ready to let go of this site and make a full transition. I hope that I will be able to continue on both fronts and, regardless of the media, bring attention to the fantastic stories that have been written and continue to be invented every day. Let's talk! What are your thoughts? Do you prefer Bookstagram, blogs, or both? What draws you to one over the other? Do you think the book blogging world has a place for both? I have to admit, I first looked at this book because of the title. Being a math teacher, I couldn't help but be interested when it said "radius." But the synopsis that promises a gritty look at what is reality for some people had me hooked. I'd love to see how these characters develop. I'm very excited to share the cover of Julie Cross's new book with you! 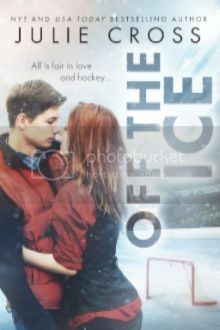 Off the Ice is a contemporary new adult novel that features one of my favorite sports, hockey (Go Grizzlies! 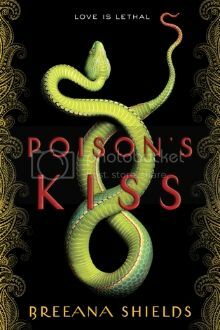 ), and I can't wait to read the story behind this gorgeous cover. 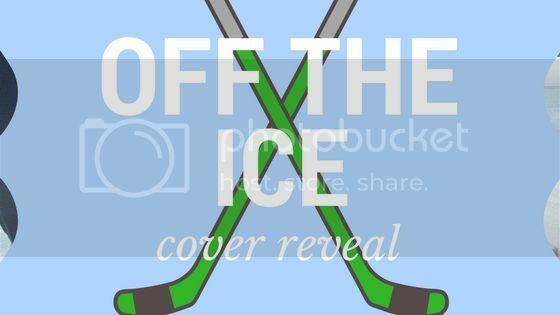 And now, without further ado, I present OFF THE ICE by Julie Cross! Julie Cross lives in Central Illinois with her husband and three children. She's a former gymnast, longtime gymnastics fan, coach, and former Gymnastics Program Director with the YMCA. She's a lover of books, devouring several novels a week, especially in the young adult and new adult genres. Outside of her reading and writing credibility's, Julie Cross is a committed--but not talented--long distance runner, creator of imaginary beach vacations, Midwest bipolar weather survivor, expired CPR certification card holder, as well as a ponytail and gym shoe addict. Goodreads Summary: What if every life-altering choice you made could split your world into infinite worlds? First Thought After Finishing: This was such an inventive story! The Infinity of You & Me was an unexpected book. Initially I was drawn to the premise and the mention of Sylvia Plath, whose poetry has always had a mysterious yet intriguing complexity. Alicia believes that she is going crazy with her hallucinations—they aren’t simply flashes, but other worlds that seem like more than dreams. There is even a boy that she finds herself drawn to. Her mom has done everything that she can to help her, especially since her dad is not in the picture, and her one friend is school is the only one who can help her stay sane. 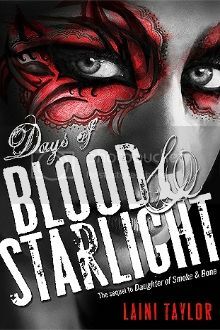 However, at a birthday party, Alicia learns that her world—and even her hallucinations—are not what they seemed to be. As she tries to come to grips with this new reality, she realizes that one decision can change everything and learning who you can trust can make or break your world. At the beginning, this book was hard to read. Alicia’s hallucinations were disjointed and confusing. While this may have reflected her tumultuous mind, it made for difficult reading. However, as the story moved forward, the hallucinations became worlds with unique stories and characters to anchor them. As the truth behind her hallucinations was revealed, they became fascinating adventures that left me wanting more. I found myself eagerly turning pages to see what would happen next. While the worlds and the adventure kept the story intriguing, I found myself wanting more from the characters. I wished that the relationship could have been developed more. Alicia spent a lot of time trying to figure out who she wanted to be, and that felt unfinished still by the end of the book. If there happens to be a sequel or companion novel, I’d be glad to learn more about the worlds and the characters. Most Memorable Aspect: The stories within the story. I would love to know how all of the different possibilities played out! I didn't read nearly enough books, but this is still so hard! 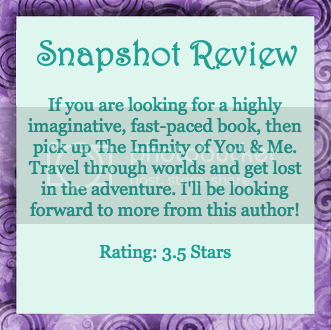 I think my favorites were THIS ADVENTURE ENDS by Emma Mills and SPLINTERED by A.G. Howard. As hard as this is to admit, JUST ONE DAY by Gayle Forman. Something about it didn't sit right with me. RED QUEEN by Victoria Aveyard. This book kept me guessing constantly. I'm not sure I was a good book-pusher this year. I'll have to work on that! Best Series Ender: I didn't read any series enders. MY ROGUE, MY RUIN by Amalie Howard and Angie Morgan. I haven't read historical romance in a while. RED QUEEN by Victoria Aveyard. I'm not sure I'll reread any other that the one I'm currently reading--THE BEAST by J.R. Ward. Sloane from THIS ADVENTURE ENDS. It was like reading myself on the page. THE LAST BOY AND GIRL IN THE WORLD by Siobhan Vivian. This book tugged at my heart a lot. THE LAST BOY AND GIRL IN THE WORLD by Siobhan Vivian. It made me reflect on friendships a lot. Is "almost all of them" an acceptable answer? From THE SERPENT KING: "If there was a way I could explode with beautiful heat and light, like a firecracker, that's what I'd want I want people to talk about me and remember me when I'm gone. I want to carve my name in the world." A SEASON FOR FIREFLIES by Rebecca Maizel and THE UNEXPECTED EVERYTHING by Morgan Matson. Celeana and Chaol. I do love Chaol. Sloane and her friends in THIS ADVENTURE ENDS. DEFENDING TAYLOR by Miranda Kenneally. I don't think anything falls under this. My fictional crushes are still claimed from boys in books from previous years. 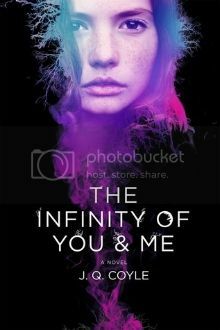 THE INFINITY OF YOU & ME by J.Q. Coyle. A tie between LABYRINTH LOST by Zoraida Cordova and SPLINTERED by A.G. Howard. THE UNEXPECTED EVERYTHING by Morgan Matson. 26. Book That Made You Cry Or Nearly Cry in 2016? THE LAST BOY AND GIRL IN THE WORLD by Siobhan Vivian. My Magic 8 ball says "Ask Again Later." I should have an answer for this...next year! My review of THE LAST BOY AND GIRL IN THE WORLD here. It was the first one for my return to blogging. My post reflecting current events in society here. I only made it to Siobhan Vivian's signing, but it was great to start meeting Utah bloggers! Returning to blogging after a long hiatus. Definitely trying to get back on top of trends, release lists, and everything else that goes with blogging. I'm not sure--I'm still rebuilding a following. All of my reviews, honestly. I need to work on that for next year. Bookstagram. I am slowly learning the ropes there as well. 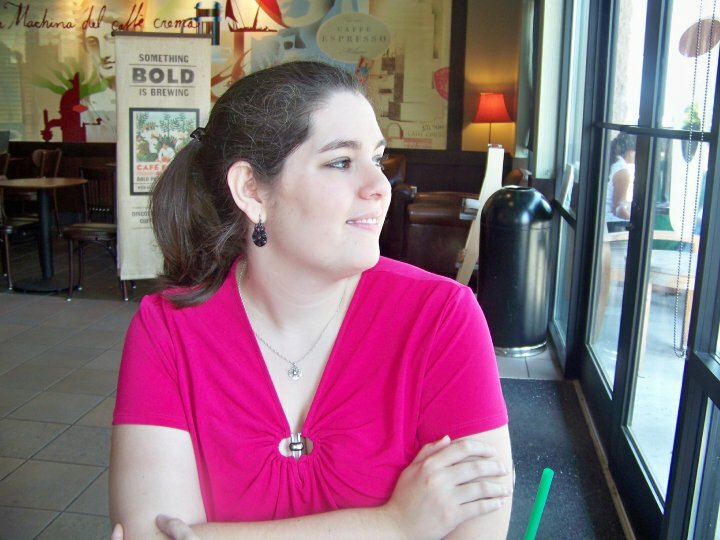 I hadn't set any goals, but I did start blogging again, so that is a success! All of them. That counts, right? ROSEBLOOD by A.G. Howard. I LOVE Phantom of the Opera. I'm glad I don't have long to wait! I didn't start many series, but I am looking forward to finishing some from long ago! Actually blog consistently with quality content. Keep up with social media. Maybe even make it to ALA again. I haven't read any yet. The shame! However, I just got Netgally approval for COMING UP FOR AIR by Miranda Kenneally and I can't wait to read that one!